Why would my company need a virtual career fair software? Career fairs as recruitment events have long been a way to pre-screen large numbers of job seekers at a single event and place. Usually, however, in-person recruitment events are only available to job seekers who live in the immediate area. Physical job fairs have inherent geographic constraints that can potentially cut employers off from high-quality candidates who live elsewhere. Furthermore, employers can end up spending a lot of time and expense for travel and rent space. For these reasons, many employers have started to use virtual platforms. Here candidates and employers can participate in an online event for interviews and screening. Still, some employers struggle with marketing and don’t quite know how to get the word out. 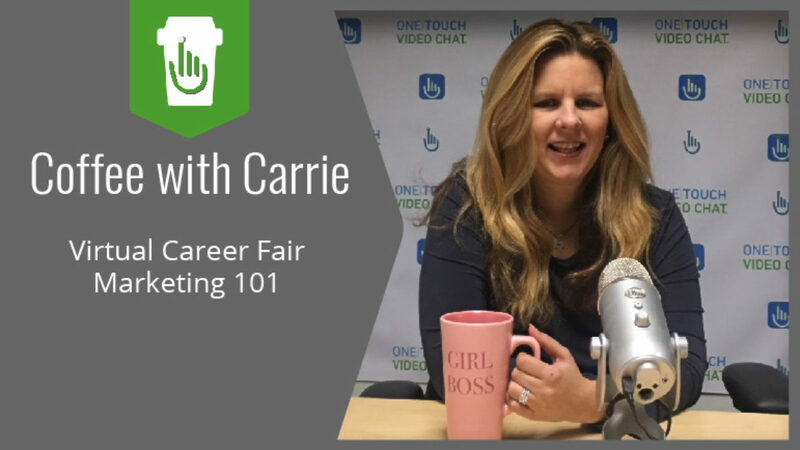 In this week’s Coffee with Carrie, we’ll discuss tips and tricks for your virtual career fair marketing campaign. Now, you don’t have to hire a full-time marketing team to drive your marketing efforts. However, best practices would suggest that you assign someone who is involved with marketing to take over. The number one advantage of conducting a virtual career fair is the fact that it is a cost-effective way for you to reach more candidates. Some of these candidates may already have a job but are open to exploring other opportunities. The most qualified candidates are usually currently employed. Quality candidates still value their current role and career goals and may not sacrifice business hours in their search. And some may be interested in working for you but live outside the area. Therefore, your marketing plan should include a timeframe that is convenient for your prospective candidates. For example, some employers schedule their virtual job fair in the evenings or around noon. You may not want to work at night or during lunch hours, these are the best times to hold the event. To drive up registration and engagement, you should strive to make the career fair as convenient for candidates as possible. Most people lead busy lives and can only participate in your virtual career fair after work or during a lunch break. If you could pull this off, candidates will take notice and appreciate your thoughtfulness. Next, your marketing efforts should include an aggressive multi-channel promotion campaign. Generally, marketing should begin one month to three weeks in advance. 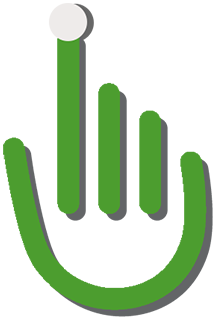 Use available job boards to advertise your virtual career fair, in addition to your own company website. In your description, be sure to include the date, time, and detailed instructions on how to find the chat portal. Also, it is important to remind candidates to have a functioning webcam. And, of course, remind them to dress in an attire that is interview appropriate. Email reminders about setting and noise are also beneficial to both attendees and recruiters. Build a custom landing page to remind attendees of all the details. This is also a good strategy to ensure the details and minutia are taken care of at the last minute. It may be useful to include a checklist on this landing page as well as any direct communications. Aside from your marketing efforts, choosing the right virtual career fair software is critical to success. Live Video Interviews can provide high-quality, user-friendly, and dependable video chat technology. Check out our free Infographics and White Paper on how you can narrow your hiring funnel, capture better candidates, screen faster, and reduce your fill time. You also see exactly how each side of a Video Interview would work, from the candidate side and from the interviewer side.